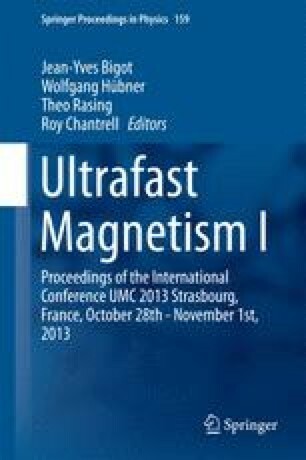 Here we consider the mechanism responsible for the ultrafast heat-induced switching of the magnetization in ferrimagnetic rare-earth—transition metal films. This switching is found to follow a counterintuitive pathway via a ferromagnetic, which crucially depends on the angular momentum balance of the two opposite sublattices. This research has received funding from Nederlandse Organisatie voor Wetenschappelijk Onderzoek (NWO), Stichting voor Fundamenteel Onderzoek der Materie (FOM) and EC FP7 contributions under grants NMP3-SL-2008-214469 (UltraMagnetron), N 214810 (FANTOMAS), NMP-2011-281043 (FEMTOSPIN) and NMP3-LA-2010-246102 (IFOX).